Thermal mass is the ability of a material to absorb and store heat energy. During summer it absorbs heat during the day and releases it at night keeping the house comfortable. In winter the same thermal mass can store the heat from the sun or heaters to release it at night, helping the home stay warm. A lot of heat energy is required to change the temperature of high-density materials like concrete, bricks, and tiles. They are therefore said to have high thermal mass. 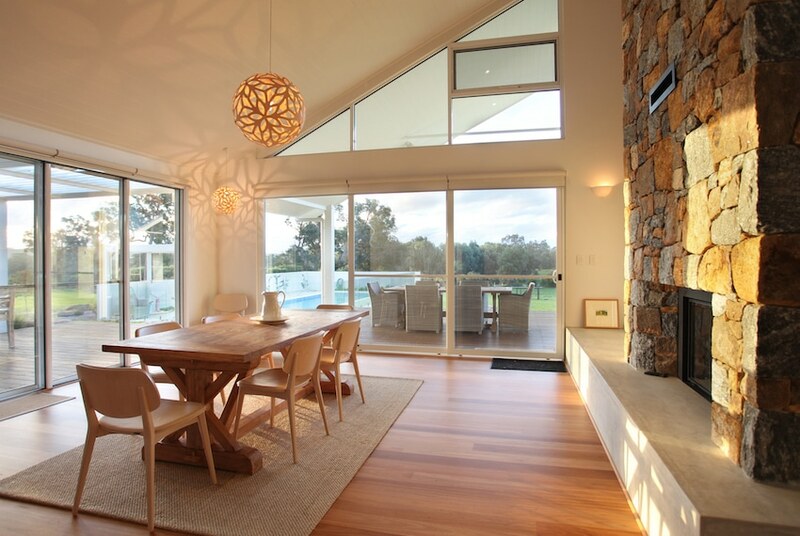 Lightweight materials such as timber have low thermal mass. Appropriate use of this principle throughout the house can make a big difference to comfort and heating and cooling bills. 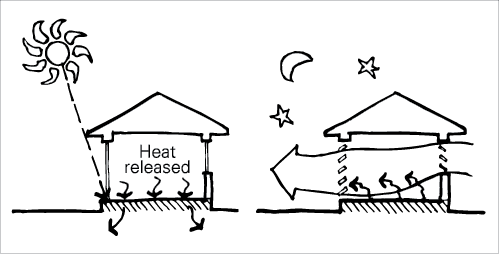 Thermal mass can store solar energy during the day and re-radiate it at night and used correctly, moderates internal temperatures by averaging out diurnal (day−night) extremes. This increases comfort and reduces energy costs. Poor use of thermal mass can exacerbate the worst extremes of the climate and can be a huge energy and comfort liability. It can radiate heat all night as you attempt to sleep during a summer heatwave or absorb all the heat you produce on a winter night. 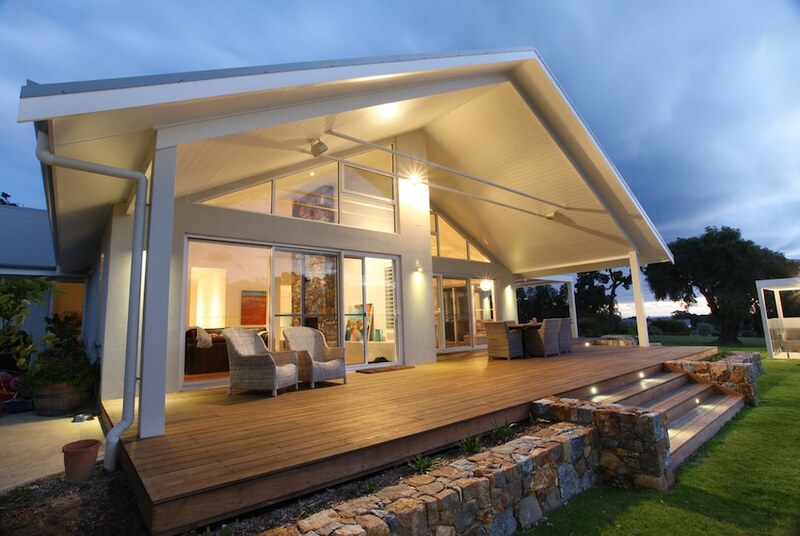 Solar Passive and Sustainable Principles are the very essence of our approach. 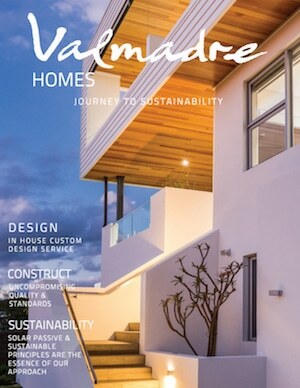 At Valmadre Homes we have a responsibility to design and build holistic homes that don’t place undue of environmental pressure on our planet. 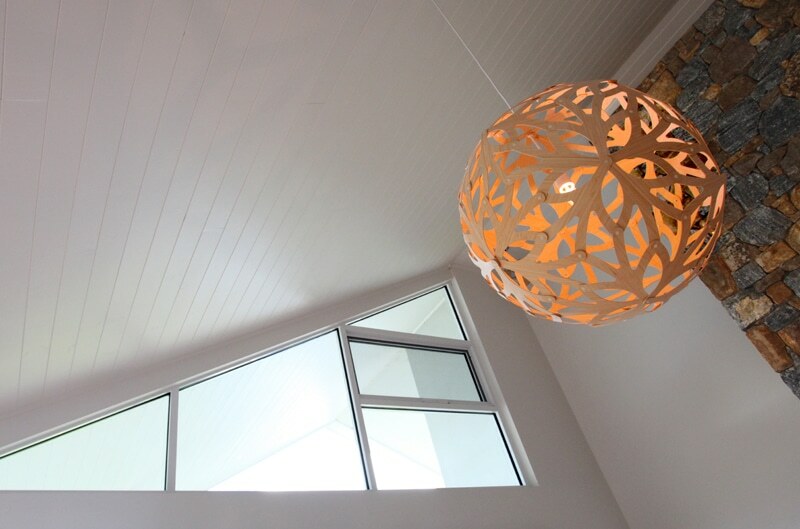 Every design and build by Valmadre gives careful consideration to the strategic use of thermal mass, ensuring a naturally comfortable home that is less reliant of artificial heating and cooling. 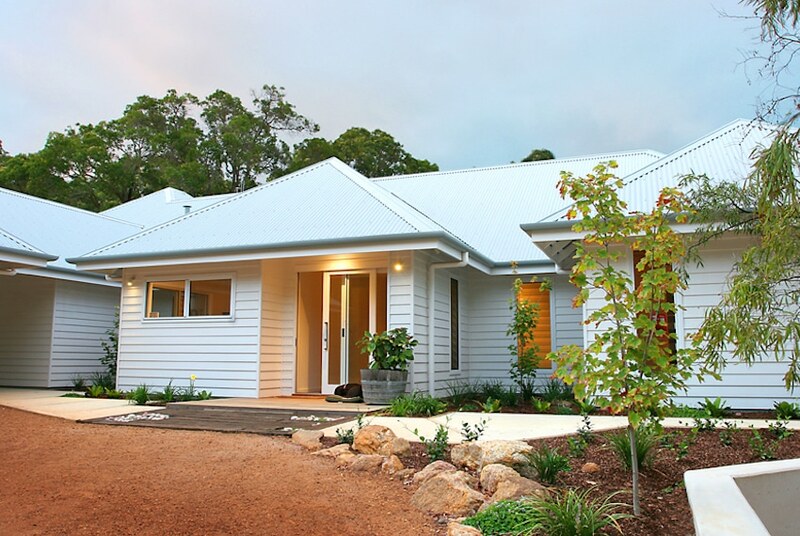 Here are some previous homes built and designed by Valmadre Homes using these design principles. The carefully placed full height stone chimney/blade wall and solid plinth pick up the winter sun and store its energy for cooler nights. The fireplace when lit boosts the thermal mass heating effect on the full height stunning stone wall. 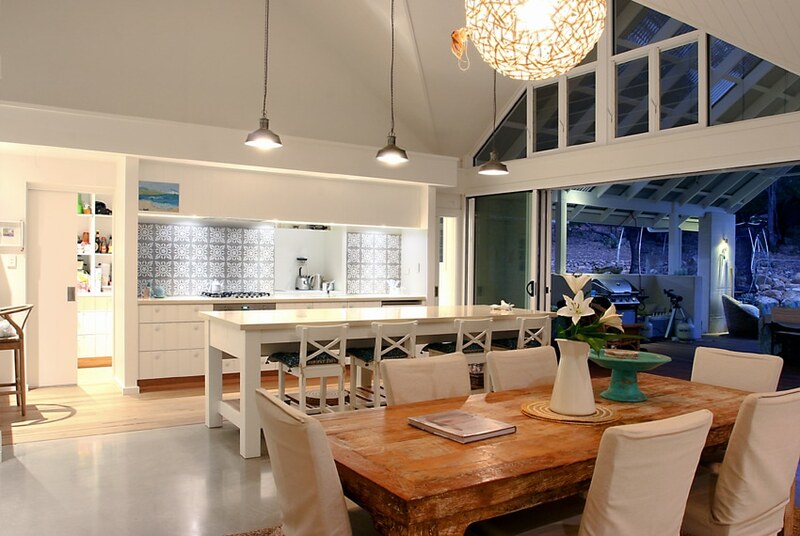 Honed Concrete floor with a highly polished elegant architectural floor finish. Small “Salt & Pepper” spec’s of aggregate blended with the grey concrete hues to make for a low-fuss high impact resistant floor finish, yet beautiful floor. Less is often more in the case with honed concrete. The optimal home orientation allows the honed concrete floor to act as a thermal heat sink, absorbing winter sun energy and giving back the warmth on cooler nights. It act’s in reverse during Summer, locking in a stable internal house temperatures & giving the home coolth during warmer weather. The stunning internal rammed earth blade walls also absorb the winter sun’s energy, helping to regulate a comfortable internal temperature. 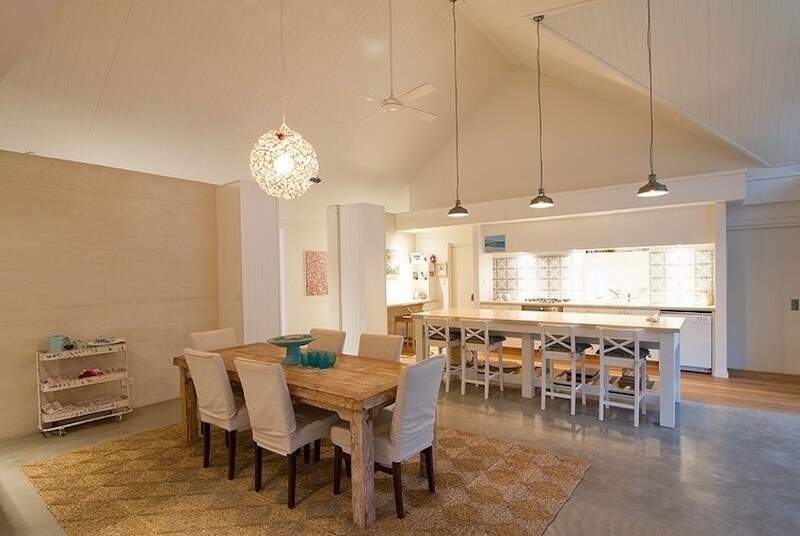 Meelup 1 is a beachy style home with solar passive principles which include rammed limestone feature walls to act as a thermal heat seal, northern orientation, solar PV panels, polished honed concrete floors with hydronic in-slab under floor heating system.